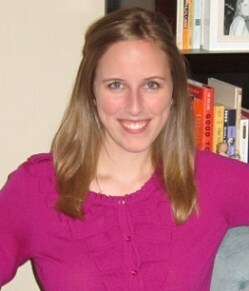 Tonight I want to pose a "choose your own adventure" of sorts. In the past couple weeks, I have tried out two recipes (and realized I have baked a lot of things in my muffin pans lately). 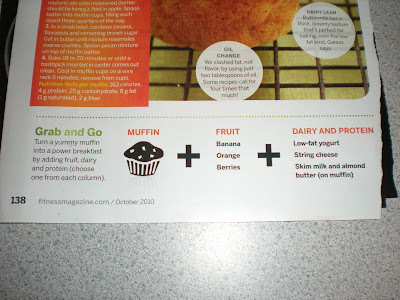 One recipe is healthy and suggested as a breakfast food... Apple-Streusel Muffins from the October issue of Fitness magazine. The other is a splurge of sugary goodness... made-from-scratch Chocolate Cupcakes, taken from the Salted Caramel Chocolate Cupcakes post at greens and chocolate. 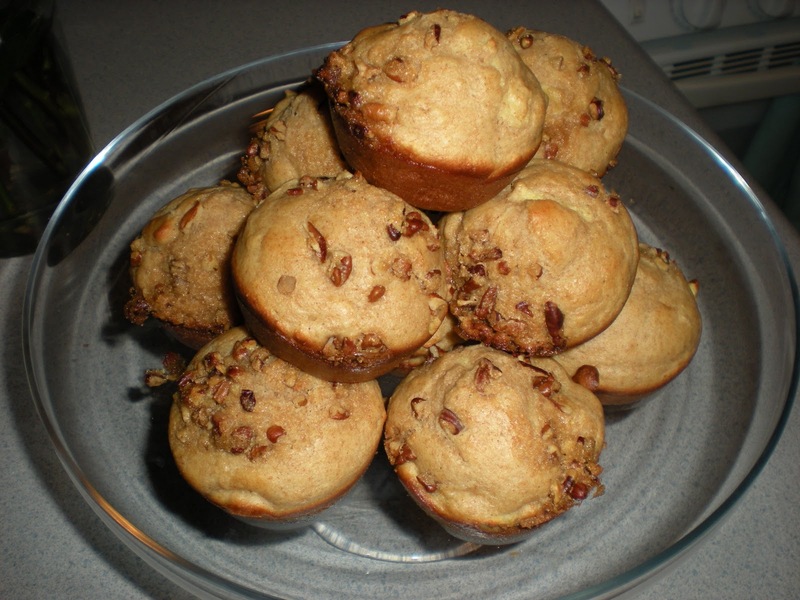 If you want a healthy breakfast suggestion, try the Apple-Streusel Muffins. Personally, I found them a little bland and "wheaty" for my taste... but then again, I once actually googled "sugar addiction" so I may just have a really bad sweet tooth. If you want a melt-in-your-mouth cupcake, try the Chocolate Cupcakes with my mom's buttercream icing. I happened to have all the ingredients from my recent recipe-trying, so it worked well. I do want to try the salted caramel part at some point (reminds me of this awesome salted caramel gelato I had at Paciugo), but I was missing heavy cream. Happy 4 months of marriage! 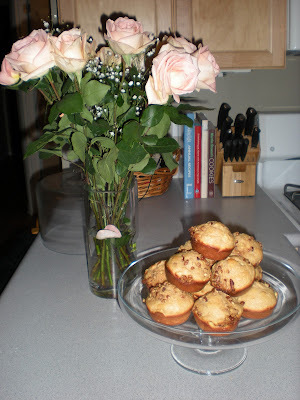 1) Preheat the over to 375 degrees F. Lightly coat twelve 2 1/2-inch muffin cups with cooking spray; set aside. In a large bowl, stir together all-purpose flour, whole-wheat flour, 1/3 cup brown sugar, baking powder, apple pie spice and salt. 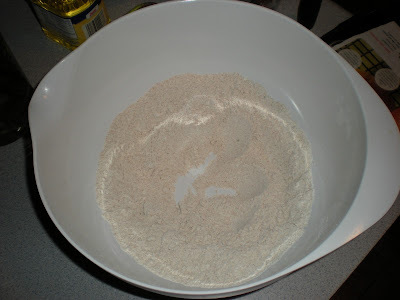 Make a well in the center of the flour mixture; set aside. 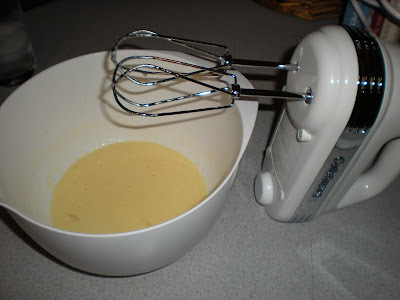 2) In a medium bowl, lightly beat eggs with a fork; stir in buttermilk and oil. 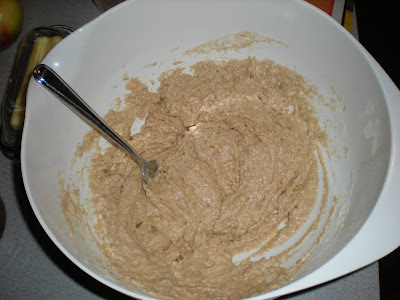 Add egg mixture all at once to flour mixture; stir until moistened (batter should be lumpy). [Moistened and lumpy... interesting word choice there.] 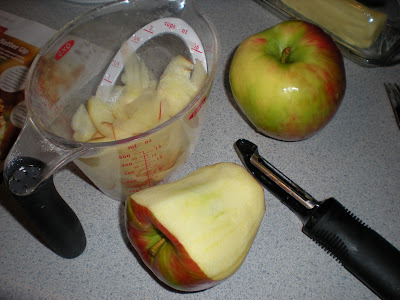 Fold in apple. Spoon batter into muffin cups, filling each about three-quarters of the way. 4) Bake 18 to 20 minutes or until a toothpick inserted in center comes out clean. 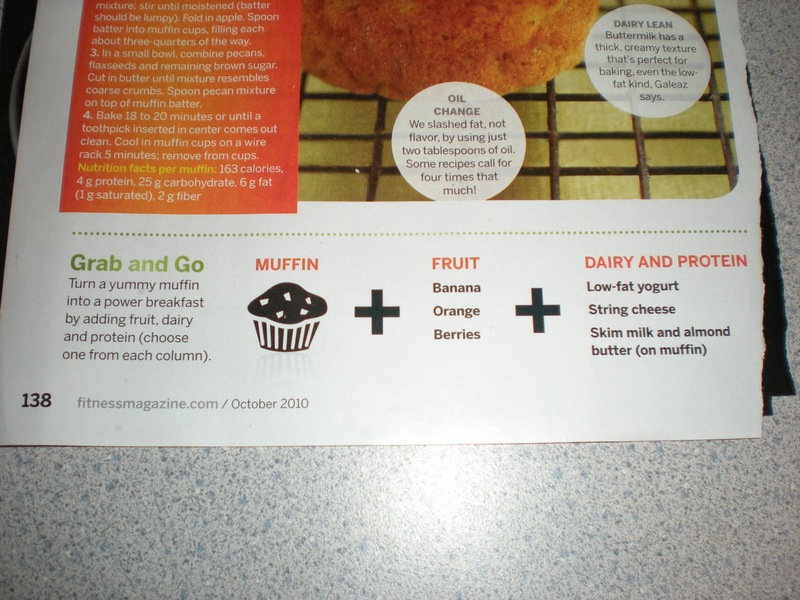 Cool in muffin cups on a wire rack 5 minutes; remove from cups. Fitness also offers suggestions of breakfast pairings. I felt good about myself when I saw that I had many of the options on hand - bananas, berries, low-fat yogurt, string cheese. 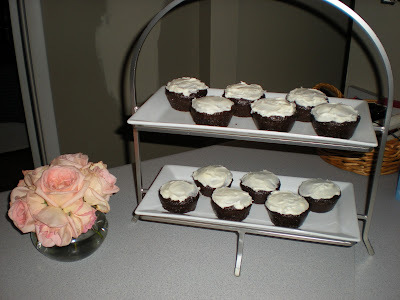 I found the full recipe for Salted Caramel Chocolate Cupcakes on greens and chocolate, but it was originally from Grin and Bake It. 1) Preheat oven to 350 degrees F. Place cupcake liners in muffin pan (or spray with nonstick cooking spray). 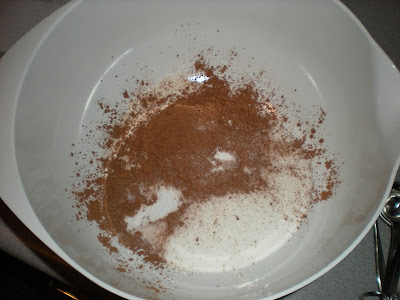 2) In medium bowl, combine flour, sugar, cocoa powder, baking soda, baking powder, and salt. Set aside. 3) In large bowl with electric mixer, combine the buttermilk, vegetable oil, eggs, and vanilla and mix until combined. With the mixer on low speed, add the dry ingredients to the wet. 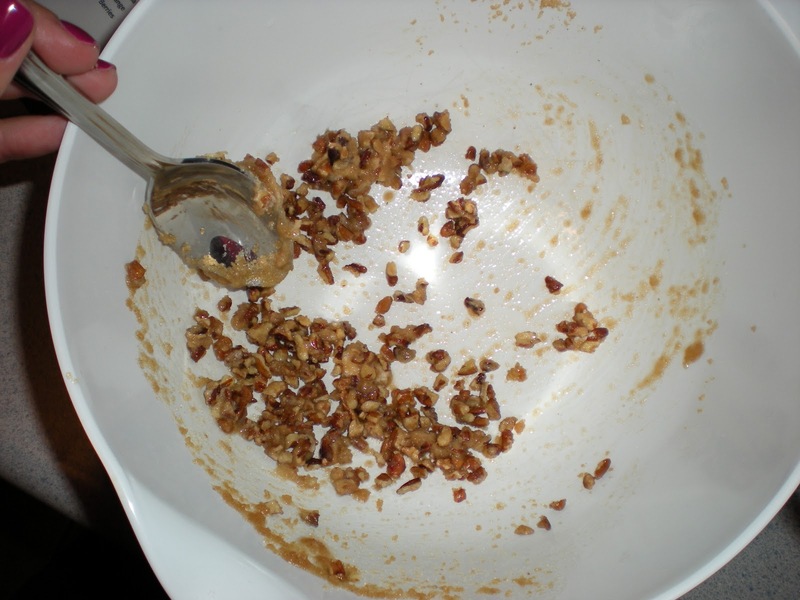 Scrape down the bowl as needed. 4) Last, add the coffee and stir just to combine, once again scraping the edges to make sure it is evenly combined. 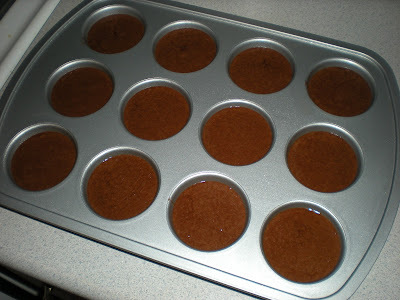 5) Pour the batter into prepared cupcake liners a little less than 2/3 full. Bake for 15 minutes, or until a toothpick comes out clean. Let cool. 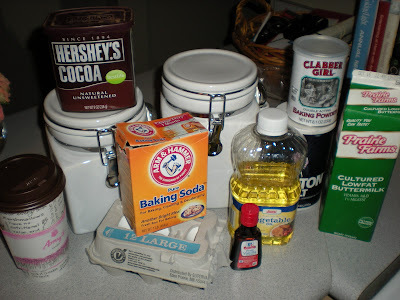 If you want to make the salted caramel icing, check out greens and chocolate. 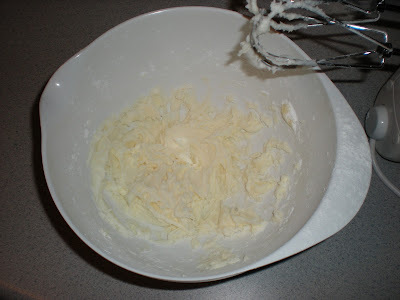 I whipped up my mom's buttercream icing. All you need is butter, powdered sugar and a splash of milk. There are no real measurements, but I used a hand-held mixer to beat about half a stick of butter and kept adding sugar and milk until I got the right consistency. (Feel free to add food coloring!) 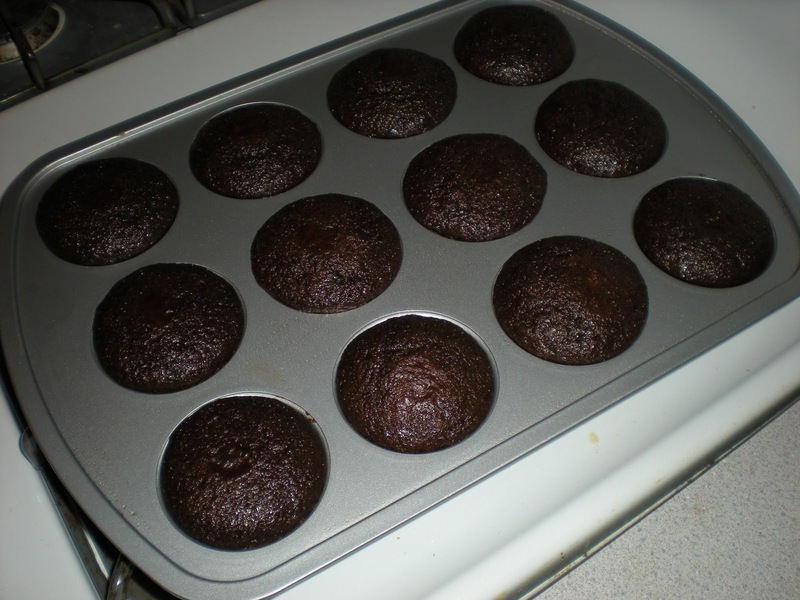 These cupcakes don't need much icing to enhance the taste. I did end up covered in powdered sugar, but the sweet and delicious end result was worth it! Whichever "adventure" you choose... enjoy! Both recipes sound really good! You are right about the balance part though. We all need a little chocolate splurge every now and then. 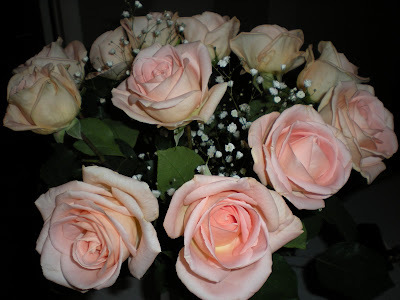 Kudos to Scott for the anniversry flowers too. You are one lucky gal! Those look great! I'd also suggest adding nutmeg and allspice to the muffins if you have them. I think those are also part of apple pie spice. Susan aka Mom: I learned from the best :) And yes, he is the sweetest hubby! 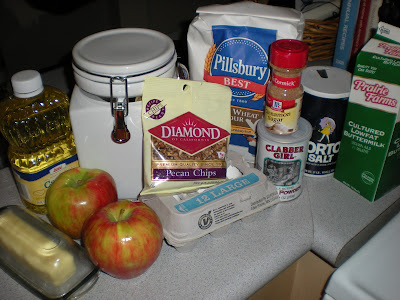 Cathy: Thanks for the tip... when I was on the hunt, I called my mom to ask about apple pie spice and she said it was a combination - nutmeg and allspice sound about right!